The WSK Super Master Series has run its second round of the season in La Conca, after skipping the round of Lonato due to snow. The weather in the south of Italy has indeed been different, with a pleasant springy sun that allowed all drivers to show their best. Paolo De Conto has been the main protagonist of KZ2. 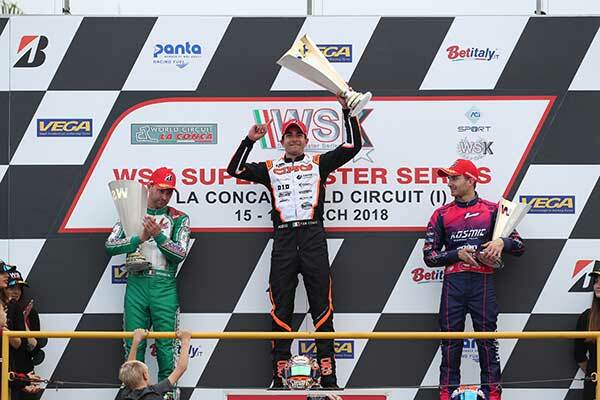 In his WSK 2018 debut he claimed a spectacular win on CRG-Tm at the end of an hard-fought duel with Marco Ardigò, who was still very competitive despite being at the comeback after a long absence from racing. The reigning world champion of CRG dominated the weekend though, securing the pole position, keeping the lead after heats, winning the Prefinal and taking the victory in the Final. De Conto has climbed on top of the classification thanks to these results. 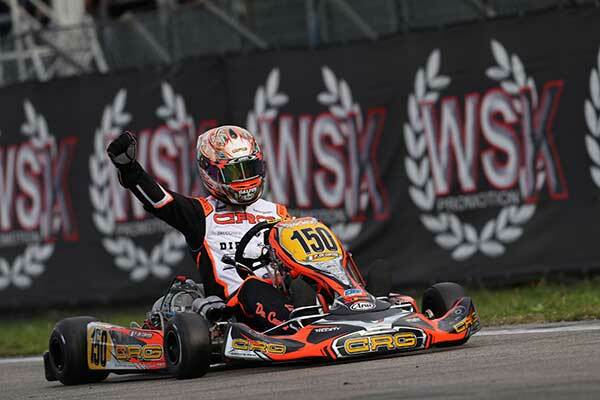 Benjamin Tornqvist, 11th with CRG Holland and Emilien Denner, 14th on Kalì-Kart-Tm, also run two solid races in KZ2. 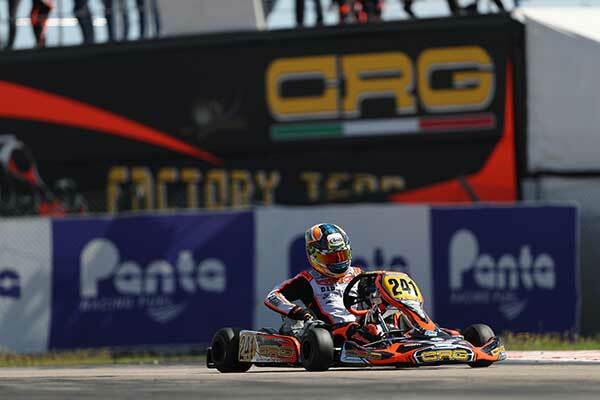 The other CRG factory driver, Alessandro Giardelli, ended 22nd after a brilliant qualifying, while Marco Valenti was 27th. 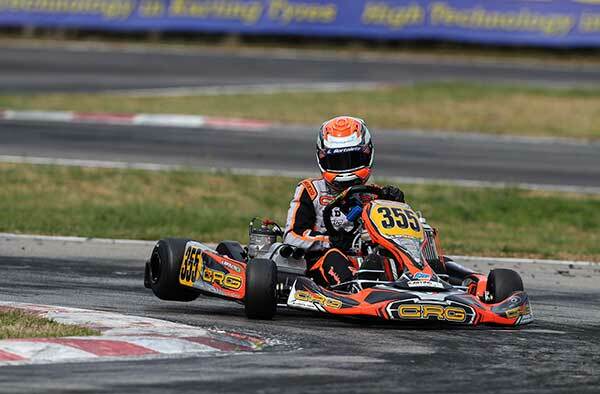 Pedro Hiltbrand secured the third step of the podium in OK on CRG-Tm at the end of a good race. He has put in a crescendo of results over the weekend, starting from the 14th place of qualifying to the seventh after heats. Regarding the other CRG factory drivers, the Spanish Kilian Meyer was eighth and Andrea Rosso 17th. Franco Colapinto could not qualify for the Final instead, after a good qualifying stage, while Callum Bradshaw had a similar fate, as he had to retire from the Prefinal. Hiltbrand is currently eighth in the classification, Meyer is 11th. Another good podium was obtained in OK-Junior by Gabriel Bortoleto, who ended second. The young Brazilian has been one of the main protagonists of the junior category on his CRG-Tm. He was sixth in qualifying and fifth after the heats, claiming also a victory. Bortoleto recovered well in Prefinal, climbed up to P2, sliding in the leading group of the Final and holding the lead for a while, before ending the race in P2. Bortoleto is currently second in the classification, 36 points shy of the leader. Enzo Trulli was 17th, while Alfio Spina, just missed out on qualifying for the Final due also to a penalty.